Ever wanted to record your games and show off your gaming skills with the outer world? If so, the game recorders are your best friends. They allow you to capture your gameplay in the exact same quality as you see on the screen, save them to your PC or whatever device you are using, and share them with thousands of gamers out there. You don’t even have to sweat much. Just click a button and start playing your favourite games as you usually do, the software will record the gameplay without even you noticing it. Ok. That sounds nice. But which software should I use? If you have this question in your mind, the Movavi game capture software is the answer for you. It is a game recording software from the Movavi which has all the essential features to let you effortlessly record, save, and share your gameplay. No matter how much experienced you are with such game recording stuff, the software is extremely simple even for the beginners. The simple dashboard, easy recording functions, and gutter free videos. 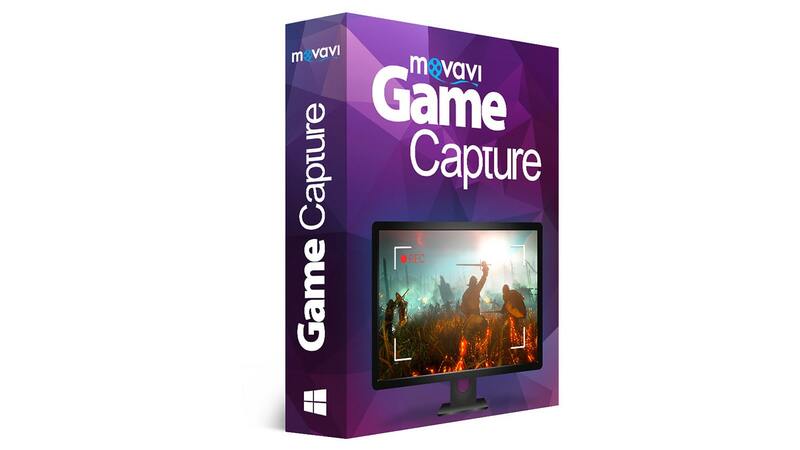 Today, we are going to review the Movavi game capture software to analyze its capabilities in recording the games. If you already tried other game recorders, you might already know how they work. If not, no problem, this review will give you the idea. 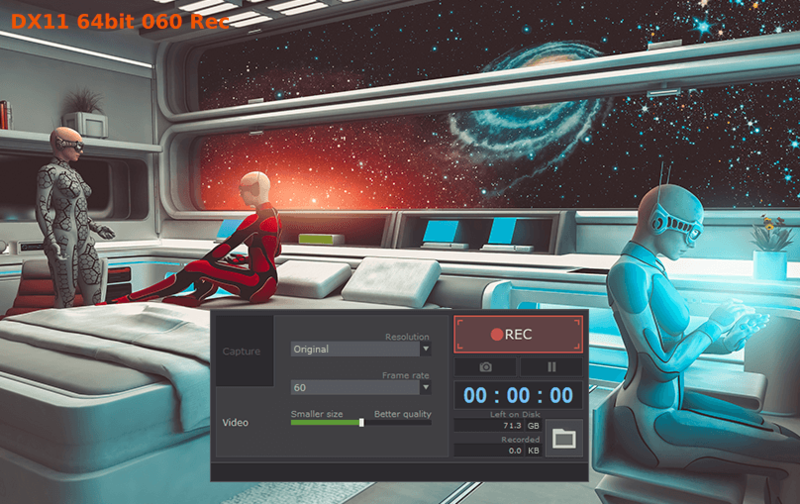 Without further due, let’s dive into the Movavi game capture software review. As you can see in the image above, that’s all the interface of the Movavi game capture software. To start capturing the video, all you have to do is pressing the REC button visible on the interface. It will immediately start recording your game. If you didn’t already start the game, the software is intelligent enough to wait for the game to start. In case you want to record the normal desktop instead of a game, just switch the capture mode. That’s all you have to do. The interface will also show you the size of the recording so far as well as the available disk space. This can be very useful especially when you are recording long gameplays like some online multiplayer games. You can adjust the video settings right from the Video tab of the window. Nevertheless to say that there are couple more useful options like screenshot capture, microphone, webcam, etc. We will discuss them in detail in the following section. Now, you got a basic understanding of the Movavi screen capture tool and how it works. It is the time to dig deep into its features and explore what makes it different and special from other game recording software out there. Let’s have a look at it. Just like the recording, you can Toggle everything with a single click. Microphone, Webcam, Sound capture, Capture mode, and almost any feature of the software can be toggled with a single click. To make it even easier, there are even shortcuts to start and stop recording. It is one of the easiest game recorders that we have ever used. If you are playing any of the popular games, you don’t have to worry about the compatibility of the software with the game. Any of the games including Battlefield 1, Call of Duty: Black Ops III, Company of Heroes 2, Counter-Strike: GO, Devil May Cry 4, Dota 2, Fallout Shelter, Grand Theft Auto V, etc. will smoothly work with the software. These are just a small number of supported games. As per the developers, any games that support DirectX 11 or earlier, as well as OpenGL will work without any problems in the recording. Ever watched a gameplay on Youtube where they display a webcam footage at a corner of the screen? You can also do that with the Movavi game capture software. 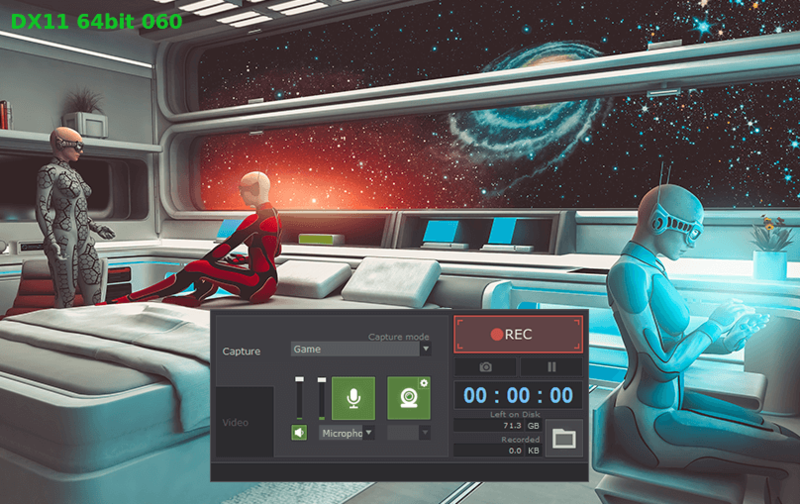 It’s simple as turning on the webcam feature from the interface and launching the game. That’s it. You can also choose the size and position of the webcam footage to be displayed. Note that, you will need a webcam with you in order to start showing your face on the screen. Otherwise, the option will be inaccessible. Like that, you can also utilize your microphone to talk while recording. You don’t have to use any extra tool to add a commentary. Just enjoy gaming as you usually do and talk what you like. There are numerous output quality options that you can choose from. You can set the video resolution, frame rate, and even compress it real-time. You can change these settings from the Video tab of the tool. It is very useful when you are running out of storage or recording a very long video. Adjust the quality of the videos based on your requirements. As the size of the recording will be shown in real-time, there is no issue of running out of storage unknowingly. We have seen game recorders that significantly slow down the games. Many of them caused higher CPU and RAM usage resulted in a laggy game or at least some gutters once in a while. But with the Movavi, we enjoyed a long time of gameplay recording without any reduction in the gaming performance. We never felt like we are recording the game in the background. Good job Movavi team. Are you a Youtuber? Or planning to be one? Gameplays are one of the best ways to start with. For that, Movavi is one of the best. The videos are automatically optimized for the web so that even high-definition recordings will be processed within a matter of minutes. The videos are also highly compressed without losing the quality in order to reduce the file size. Got any doubt with the software? Or have any problems using it? There is a dedicated support team to help you. They even have a Live chat support to answer your questions instantly. We can’t see many competitors with the Live chat support. So, Movavi scored there as well. After thoroughly checking the software and using it for recording several games, we found it as one of the best game recording software which does the job. The best thing about this tool is the ease in the usage and the ability to effortlessly record the games without affecting the game performance. The quality of the output video is also fine. So, if you are planning to record games, you should give a try to the Movavi game capture software. It usually costs around $49.95 and now available for $29.95. So, if you love to save your money, you should probably have to hurry. One of the best tools to record games effortlessly and efficiently. Plenty of features, nice interface, amazing performance. Does it what it promises.